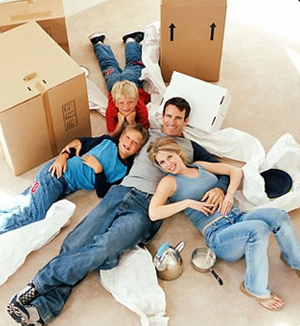 Straight Forward Moving provides you all the advantages needed. We are always ready to customize your move so it can fit all your needs and requirements more than perfectly. Our services and our crew are professional and friendly – you won’t be disappointed at all. 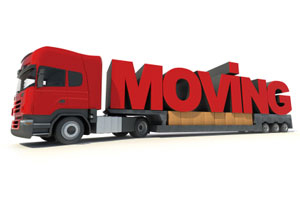 Moving Truck Moving without worries and stress – it is possible today with Straight Forward Moving! As our team of professionals will take care of everything you want, you shouldn't have to worry about the actual move itself. No matter what you need – home or office relocation, interstate or long distance move, we are here to give you THE EXCEPTIONAL moving experience. 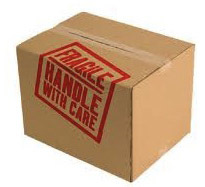 Our main goal is to reduce your worries, as we know that there are a lot of concerns when there is an upcoming move. Be sure that all your questions and problems before and/or when moving will be answered and resolved by us. Packing, labeling, organizing, wrapping, crating, lifting, loading, hauling, keeping detailed inventory checklists – we are here to perform all these services for you, and even more, if requested. Professionality, accuracy, attention, knowledge – just a small characteristics of our service. You can always rely on our helpful, careful and well prepared consultants! The company agreed to pay be back some money in exchange of removing the negative review. I guess that is a plus. Just always do your research on any moving company you go with. DO NOT USE THESE MOVERS. POOR COSTUMER SERVICE. SCAM.Summary - * Easy to book through email. Great response from sales person. HORRIBLE AFTER BOOKING* Two day window for pick up and delivery. If want exact date extra $150 which they don't tell you until after signing* Driver didn't show up on first day, called at end of 4 hour arrival window to ask if come later or reschedule* Reschedule date for next day - driver still didn't make 4 hour arrival window. NO CALL* Tried to get ahold of someone NO ONE ANSWERS PHONE. * Finally spoke to someone. Will not compensate me for inconvenience (I took two days off work and stayed home WAITING). * Driver comes 2 hours late, says nothing. No apology NOTHING* Takes an extra hour to go from old to new place when they are ONLY 10 minutes away. WHERE'D they go? * CHARGES ME FOR EXTRA HOUR that they were gone. * Stacks heavy and fragile CLEARLY MARKED boxes on top of light boxes crushing them* Leave trash in my garage. * Called next day to speak to owner. NO ONE ANSWERS PHONE or CALLS ME BACK. * Have not heard from them since.Found these guys on movers.com along with other movers. The sales lady was very nice and it was easy to communicate via email. Trying to contact anyone on the phone was a different story. They had the best rate and good reviews from what I saw. I was only doing a small local move. I asked for a move date of August 1, 2017. ONLY AFTER I signed a contract did they tell me I had a 48 hour window of pick up and delivery. That meant that they would move me EITHER on August 1 OR 2. If I wanted a guaranteed date then I would have to pay an additional $150. WHAT!? I stuck to the time frame and took time off work. The evening before, the company called me and told me they would be coming Aug 1 between hours of 4-8pm. On August 1, I hear from no one until almost 8pm. The driver tells me they are running late and ask if it's ok for them to come at 9pm. ARE YOU KIDDING ME? That's arrive by 9pm and move the minimum 3 hours or more. I have a young son and that would have been too late. So I opt for the next day and take ANOTHER day off of work. The driver says they will show up between 12-4pm August 2. On August 2 by 3pm I have heard from NO ONE. I try to call the driver, no luck. I call the company number, I get transferred to several different departments before I'm placed on hold and then a voicemail. NO ONE ANSWERED THE PHONE. So I leave a message about how I haven't heard from anyone and it's almost 4pm. So I wait. 4pm rolls around, NOTHING. Again I call. I leave another message because no one is picking up. 430pm comes around I call again and leave another message. At this point I am furious, I go online to their website and have to find someone I can chat with. This is a person doesn't work directly with the company but gives me the phone number and EXTENSION to get ahold of someone. FINALLY someone answers. I speak with Johanna. I explain to her my situation and explain how poor service this is. I have a mobile business myself and I know when I am going to be late even over an hour. These guys do this all the time, they should know how to figure out timing. I tell her I have heard from no one, left several messages, and have had to take two days off work. She explains that because I was given a 2 day window of pick up and delivery that they were in that window so she can't do anything for me. NO, you tell me your driver is going to arrive in a 4 hour window and BOTH times they are LATE by more than an hour. I ask for some compensation and she again says that because I am still within my delivery window there is nothing she can do. Because the driver in on their way and I need to move, I keep the appointment. I ask for the boss' name and when they would be in. The driver and two college age kids show up at 6:00pm (2 hours after the arrival window). It takes them 2 hours to load my stuff. That makes it 8pm. The contract I signed was for 1 hour travel to my place and 3 hours of moving, so 2 hours have passed for my move. My new place is LITERALLY 10 min away from my old place. I drive to get there first and I wait A WHOLE HOUR!!! for them to show up. WHERE'D they go? The driver comes to me and goes over the bill. THEY CHARGE ME AN ADDITIONAL HOUR - 1 hour to drive to my old place, 2 hours to load, 1 additional hour to drive to my new place that was literally 10 min away, and 1 hour to unload = 5 hours total instead of 4. I was PISSED. Realizing that the driver can't do anything and will not unload my stuff until I pay him, I do so and plan to speak to owner next day. They unload very quickly even leaving trash that I have to clean up and packing HEAVY boxes or FRAGILE boxes that are CLEARLY marked on top of lighter boxes which crush them.Next day I call every hour or two and leave a message for the owner to call me because NO ONE ANSWERS THE PHONE always to voicemail. Never heard from them. It's a Fraud company. They did not show up for a long distance move , took 25 percent of charge before hand. Had to cancel the transaction on credit card on the last day. Nightmare experience ! Stay away from these cheaters! BIG FRAUD - STAY AWAYPlease read the entire review carefully to the end. I am writing this review so that others could refrain from becoming a victim.This company provided awful services, damaged my goods and took no responsibility of claim.Claim experience:- They sign all contracts and paperwork (bill of lading, agreement etc.) in name of another company called Moving Cross Country Inc. but do their marketing and sales in name of Straight Forward Moving- My claim was handled by CSI (Claims Service International) and CSI told that per Federal law, they had 120 days to process the claim- I did not hear anything back from CSI even after follow-ups until the 114th day when CSI sent an email that their contract with Moving Cross Country Inc. had terminated and they shall not be processing the claim any further- When I called SFM, they told that their company went out of business and now doing business in a new name- When I asked that someone should take the responsibility of claim, they told that no one will do that as the previous company was out of business- When I asked for the new company's name, they did not provide it mentioning that I may write a bad review if they give me the company's name- Now, when I checked SFM's website again, it looked like they were still in business and when I asked for a new quote, I got one from them in an email- They even followed up on my quote which means that SFM never went out of business- I believe that they show contract with Moving Cross Country Inc. and in the end say that this company went out of business- I doubt that Moving Cross Country Inc. even actually exists - I smell BIG FRAUD hereMoving experience:- I moved from Eastern Time to Mountain Time so it was a cross country move for which I got an estimate of $1750- I scheduled pickup more than 3 weeks prior for 2 PM on a Sunday, the day of my move- They called me at 10 AM on Sunday and said that they will not be able to make it by the next day Monday morning- When I told them that I booked over 3 weeks before and got this schedule fixed and that I had to catch my flight the next day, they agreed to send a truck on the same day- The truck arrived for pickup at 10 PM and after loading, they confirmed that the total amount was $2600- I had not added any item to the estimation list that I had given initially but at the last moment, I had no other option than to sign the contract for that elevated amount- The delivery was also very late - after 22 days of the first available date I had given them- The driver who delivered, Sergei, was very rude and insulting in his conduct and language- He did not give me any notice before showing up and called me only 10 minutes prior to his arrival - I had to take a last minute time-off from work to receive the shipment- He was arrogant and offensive in his behavior and language; his tone always reflected orders above requests- He was driving a 'United Van Lines' truck whereas I expected an actual truck from SFM - this indicated something fishy as well- Upon delivery, I found that my 55 inch LED Slim TV had been damaged - screen and panel both were damaged- TV was packed in the original TV factory shipment box after discussion with and recommendation from SFM- The box was damaged on both sides by some heavy sharp object which penetrated the box and then damaged screen and panel- I had discussed with SFM before shipping about delivering expensive and fragile items as I was quite concerned about my TV that I had purchased for $1500- SFM suggested to pack the TV in original factory package in which it was originally shipped and ensured that there shall be no damage in the move as the TV had been shipped fine by the TV company in the same package- Above, I have already mentioned my claim experience and that the claim for damage to my TV was never processedThe overall move was heavily loaded with monetary loss, psychological stress and tension. BEWARE!!! Do not use STRAIGHT FORWARD!! I used them to move from NY to Tx and now that I'm moving to Tx to get my stuff they are no where to be found. All the numbers are disconnected. They use different names such as Legal moving cross country most valuable movers and under different DOT numbers. They basically stole my stuff and even billed me. I cannot get a hold of anyone. Whenever I call straight forward they tell me the company i used closed there is a woman that picks up and its the same woman. do not use them please do your research first!! !